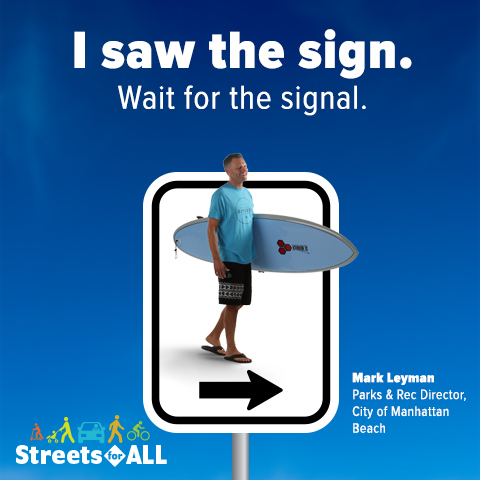 We all share the responsibility to make Beach Cities streets safe for everyone, including pedestrians and bicyclists. 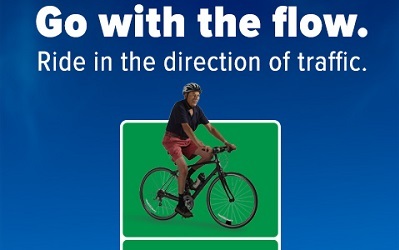 Safe places to walk and bike are important for supporting active, vibrant communities. 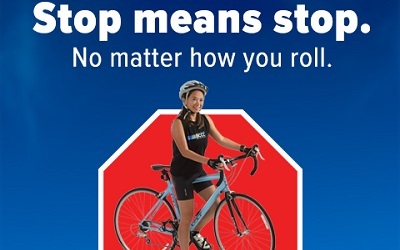 BCHD is launching a safety campaign to educate the community on how they can create “Streets for All”: bicyclists, pedestrians, drivers, strollers, people with disabilities and skateboarders. 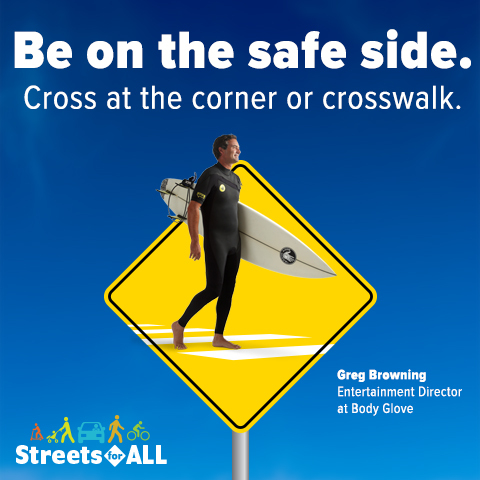 Streets for All focuses on spreading public education messages about street safety to residents of all ages and spotlighting the need for increased safety measures along highly-trafficked corridors like Prospect Avenue — which cuts through six school zones and impacts more than 5,500 Redondo Beach students on daily basis. 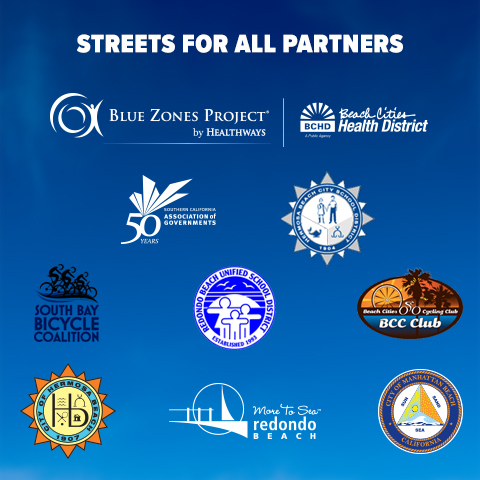 For more information on ways Blue Zones Project is creating a livable beach community, view the Streets for All resource guide, the Streets for All educational series summary report or visit bchd.org/healthpolicy. 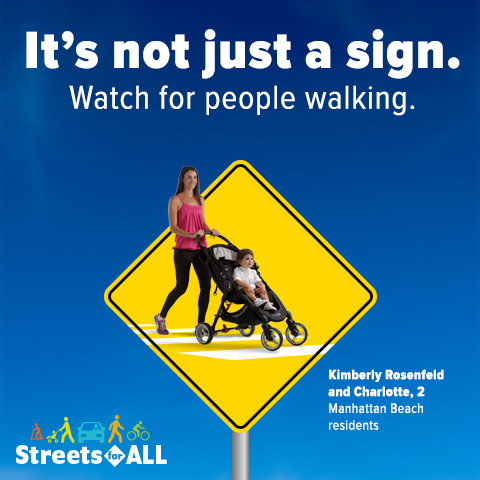 Have a concern or want to share a personal story about street safety in the Beach Cities? Share your feedback on this online form. How do you create Streets for All? 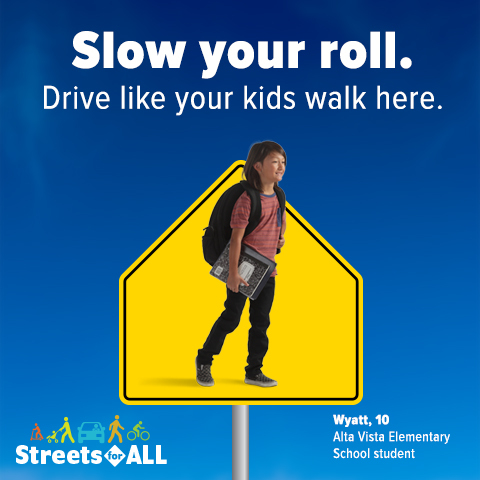 Share an image of how you roll with the hashtag #StreetsForAll and tag us on Facebook, Twitter and Instagram. 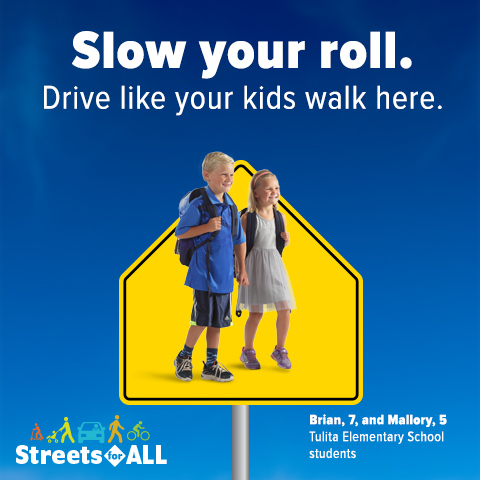 Volunteer to promote safe Streets For All with programs including the Walking School Bus and local bike corrals. 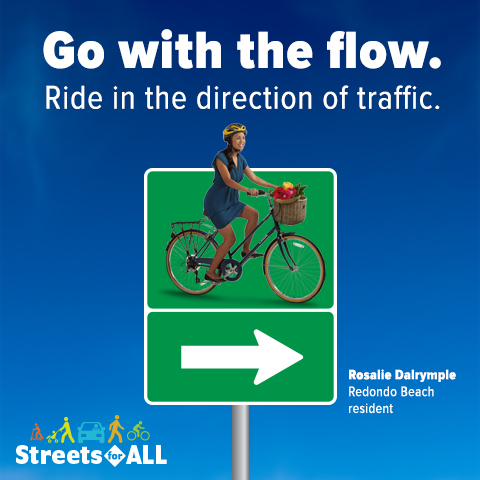 Streets for All is the local interpretation of a regional effort by the Southern California Association of Governments. 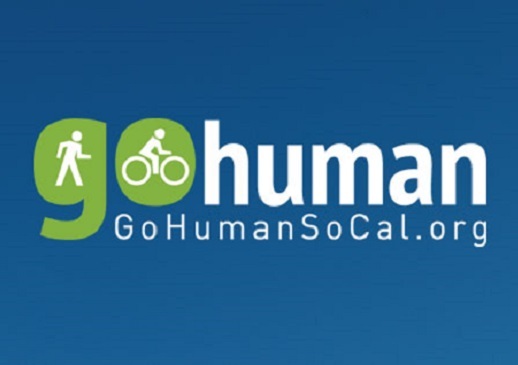 The "Go Human" campaign encourages Southern Californians to use human-powered transportation. 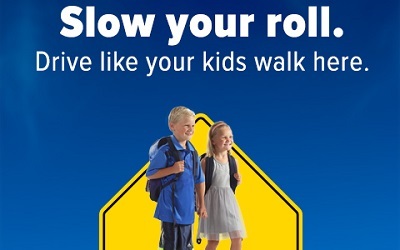 Beach Cities Cycling Club has designed a program that teaches children how to be safe cyclists and pedestrians. 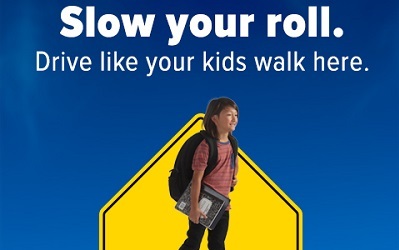 Keep your eyes on the road and avoid distractions - like checking your phone - while driving. 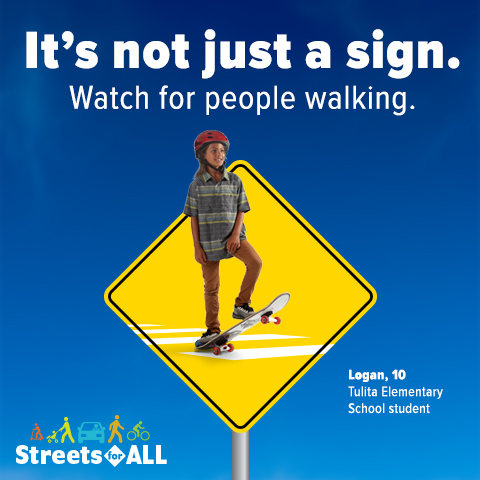 #StreetsForAll. 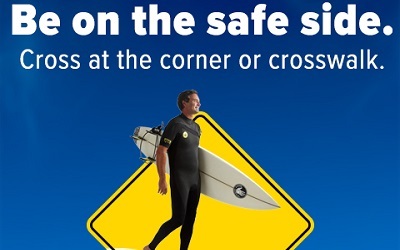 • Be on the safe side. • Go with the flow. 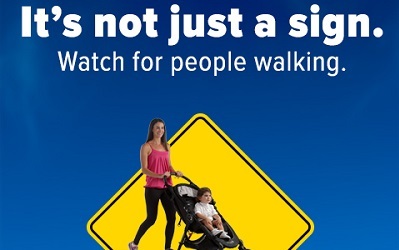 • It's not just a sign. • I saw the sign.